A new agreement was recently reached to address the devastating conflict in South Sudan. While it promises a temporary détente, it is the latest in a long line of deals to divvy up power. South Sudan achieved independence in 2011 following a decades-long civil war with Khartoum. Hopes of a new peaceful and prosperous nation were dashed when tensions between President Salva Kiir, the first and only President of South Sudan, and long-time rival Riek Machar, the country’s inaugural First-Vice President, led to fighting between soldiers loyal to President Kiir and those loyal to Riek Machar in December 2013. The country has been at war ever since and the humanitarian suffering continues to worsen. The deal signed on 5 August is just one part of the process to resurrect the broken 2015 Agreement on the Resolution of the Conflict in South Sudan (ARCSS). While Sunday’s agreement covers some of the stickiest issues on governance and security, it is not a final agreement. Further progress is likely to take several months, as the focus on Machar’s role in the future of South Sudan is overshadowing other critical issues. 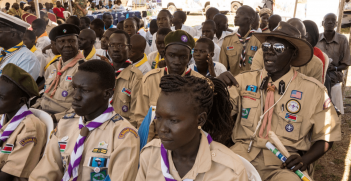 While there has been little for South Sudanese to celebrate in recent times, Sunday’s signing provided some hope for a long-suffering people. Many observers however remain wary of the ARCSS. Several issues began to converge this year, which leaves little space for inaction. Sudan President Omar al-Bashir was reported to be one of the key drivers to organise this deal. South Sudan is landlocked and can only export its oil through Sudan’s pipelines, for which Sudan receives fees. Both governments will benefit immensely if oil production can be restored anywhere close to possible capacity. President Bashir has again offered his help to secure the oil fields. The mandate for President Kiir’s government comes from the ARCSS, which is meant to prepare country for elections. As the expiry of the ARCSS looms, diplomats have cautioned against the government’s push for elections. Instead, the parliament passed a bill in July, extending the president’s and parliament’s term until 2021 against outcry from opposition parties. With dwindling public funds to draw upon, fractures are also appearing with the government. State governors and senior public officials are fired with startling regularity. Last year, President Kiir sacked the army’s Chief of General Staff General Paul Malong and placed him under house arrest. A few months later, 200 soldiers encircled Malong’s residence amid rumours of an attempted break out. Mediation talks eventually set Malong free whereupon he promptly left Juba for Nairobi and declared himself a rebel against President Kiir..
South Sudan’s civil war has impacted its immediate neighbourhood. While Uganda has been praised for its generosity for receiving around one million refugees, there have been allegations of corruption and exploitation of the crisis, including the Office of the Prime Minister. Other countries are also hosting large refugee populations. Kampala, Nairobi and Khartoum have seen an influx of families from South Sudanese government officials buying expensive properties. These countries seem less compelled than Australia in investigating the origins of the wealth. The United States has tried to make its mark but its influence over South Sudan’s leaders is limited. It has slapped sanctions on individuals including cabinet ministers and the oil industry. It has also announced a comprehensive review of its assistance package and managed to convince the UN Security Council to pass an arms embargo on South Sudan. South Sudan’s ruling elite has dismissed the actions of the United States as a hindrance to peace. The deal signed on Sunday is one step in the direction towards peace. However, those involved will need to prove they have learnt from past failures. Appointing an additional three vice prime ministers (to a total of five) and increasing the number of parliamentarians from 400 to 550 suggest that the government’s focus remains on who gets what. The circumstances around Machar’s return to Juba must avoid the scenario that led to the breakdown of the ARCSS and left hundreds dead in July 2016. A successful agreement must address South Sudan’s debilitating economic woes. Much of this stems from the mismanagement of public funds and unfortunate economic conditions. The persistent insecurity and lack of accountability within the armed forces on all sides is responsible for displacing millions and destroying local economies and food production. More parliamentarians will not fix these issues. The ARCSS, including oversight of its implementation, will have to be significantly revamped for any hope of some semblance of stability in South Sudan. Alex Jones worked in South Sudan from 2016 to 2018 as an analyst for the United Nations peacekeeping mission and a consultant for humanitarian organisations. He holds a Master’s of Political Economy from the University of Sydney. 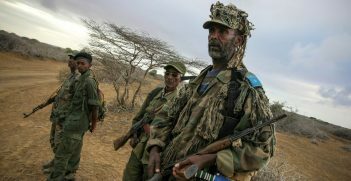 Since mid-October, Somalia's fragile calm has been broken by terrorist attacks. Militant group al-Shabaab has been blamed for the massive Mogadishu attack and the violence means Somalia's future is again in jeopardy. The Mo Ibrahim Prize: A Misdiagnosis of Africa’s Problems? 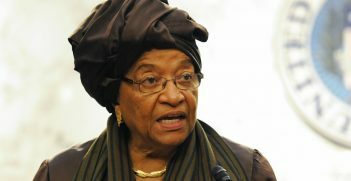 Former Liberian President Ellen Johnson Sirleaf is the first woman to win the prestigious Mo Ibrahim Prize in African Leadership. What does her win say about African leadership today? 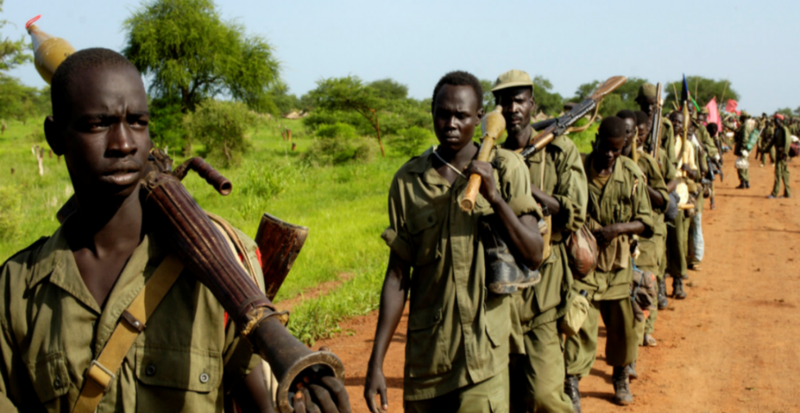 The Sudan–South Sudan case study shows that excluding women from formal peace processes creates serious consequences for the sustainability of peace post-settlement.